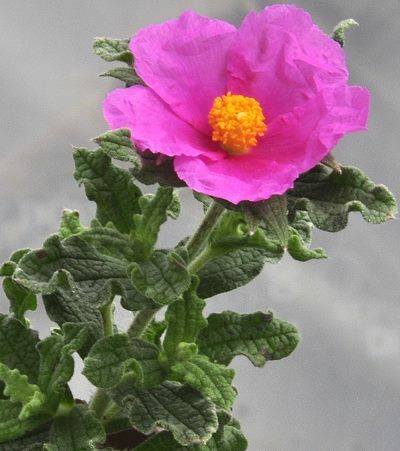 Warley Rose Rockrose has crinkled leaves and bright pink flowers that bloom in May. It makes a wonderful addition to the rock garden. 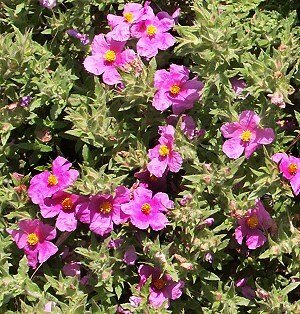 Like all rockroses, this is a very drought resistant shrub that continues to spread each year. It usually tops out at about a foot, but may get taller over many years.